YWCA West Central Michigan has a very diverse user base which created a unique challenge. The design of the landing page funnels users into different groups based on their needs, helping them get the information they need quickly. 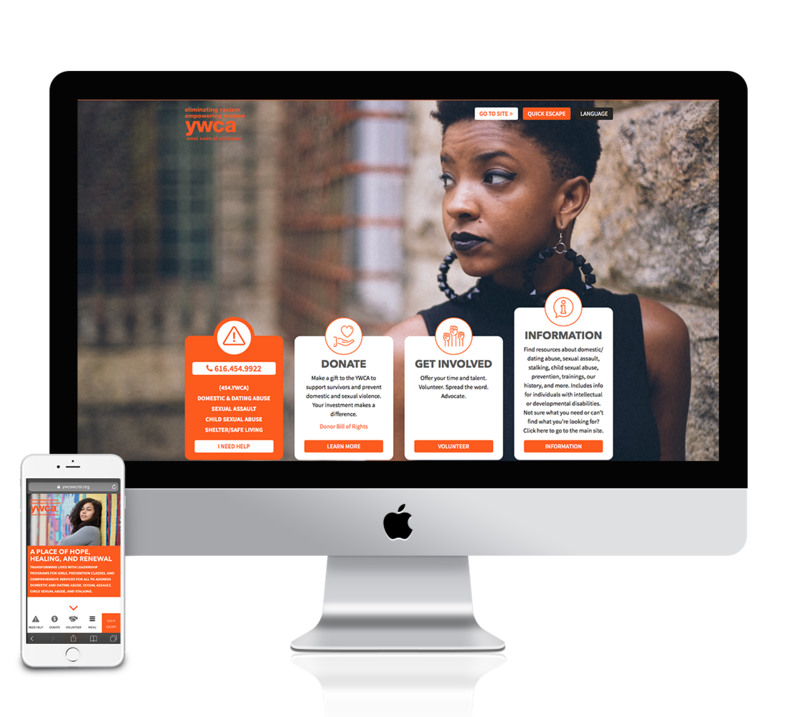 One of the main goals of this project was to create a simple, aesthetically pleasing donation form in order to increase donor conversion rates.